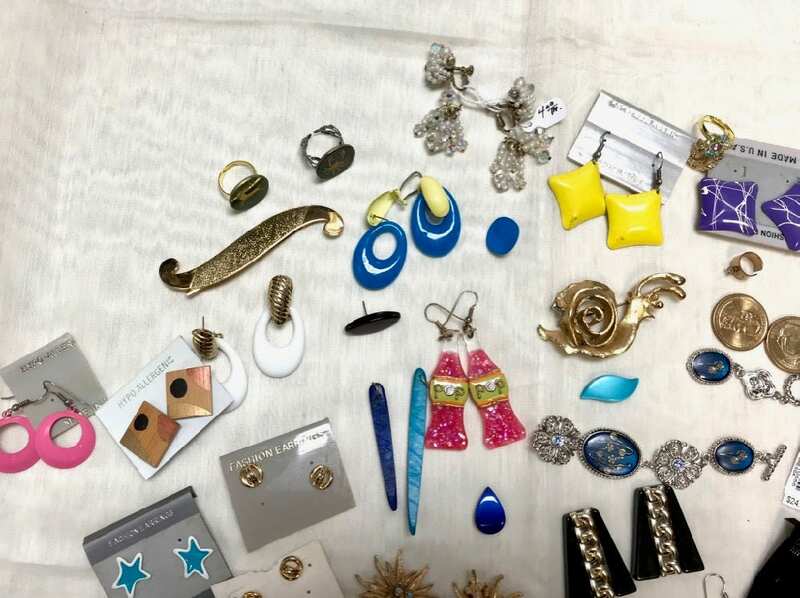 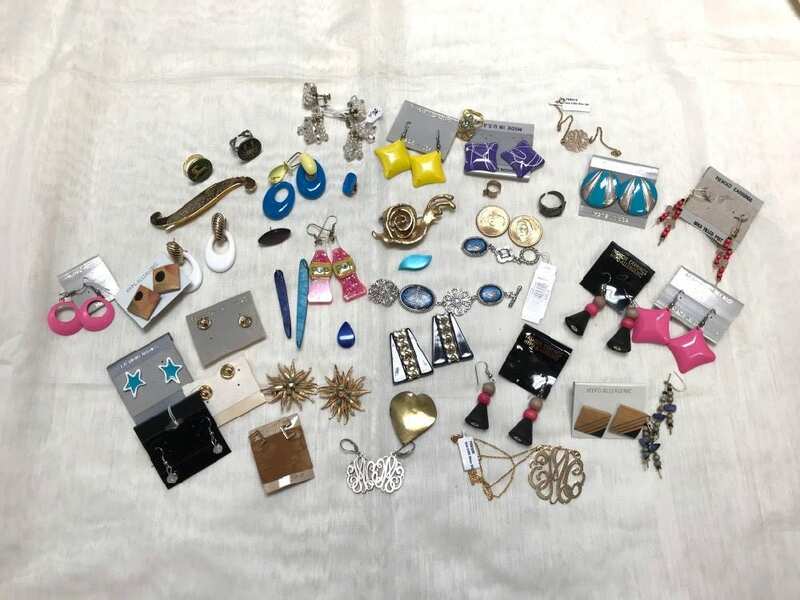 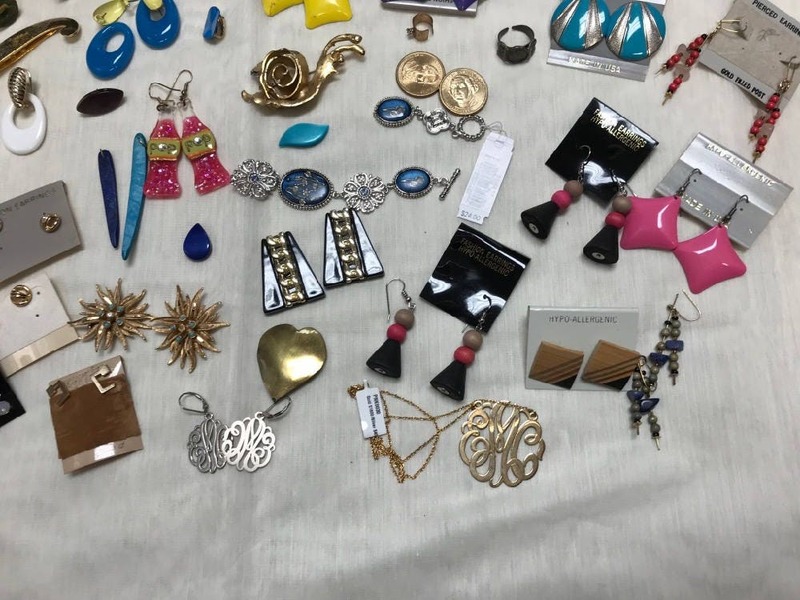 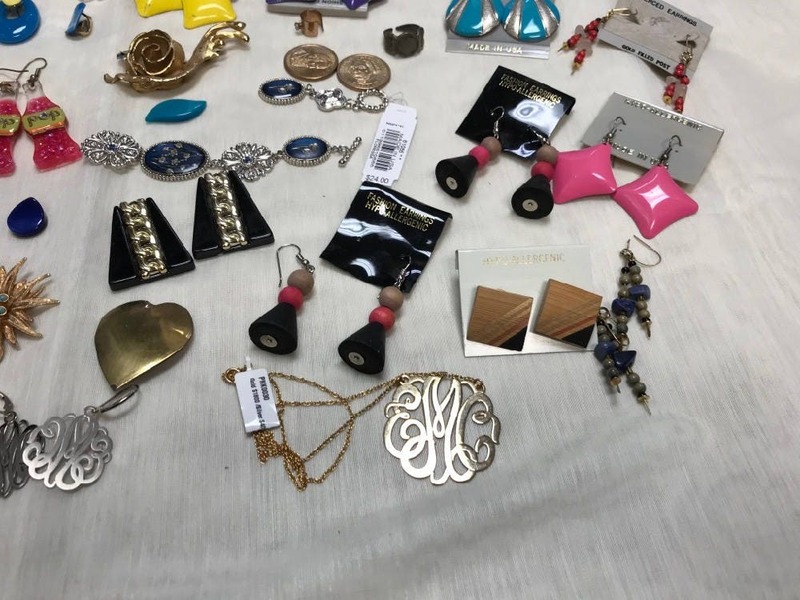 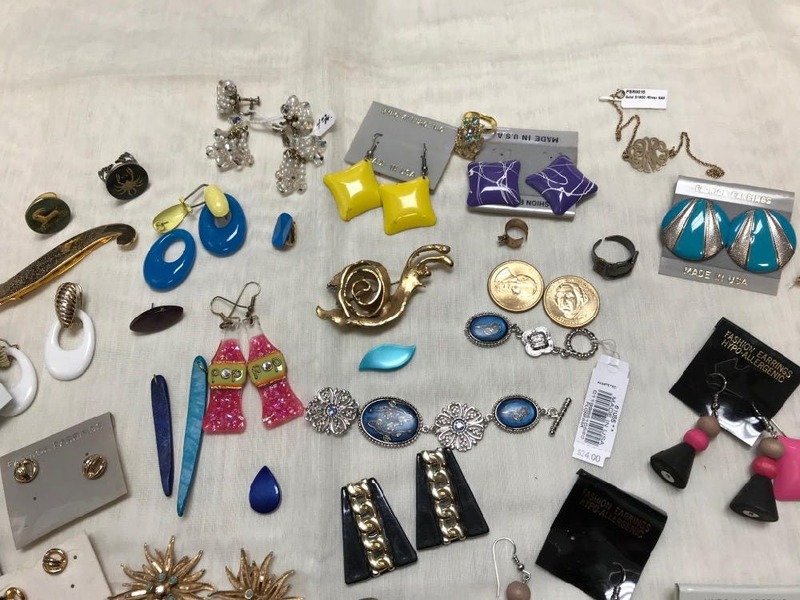 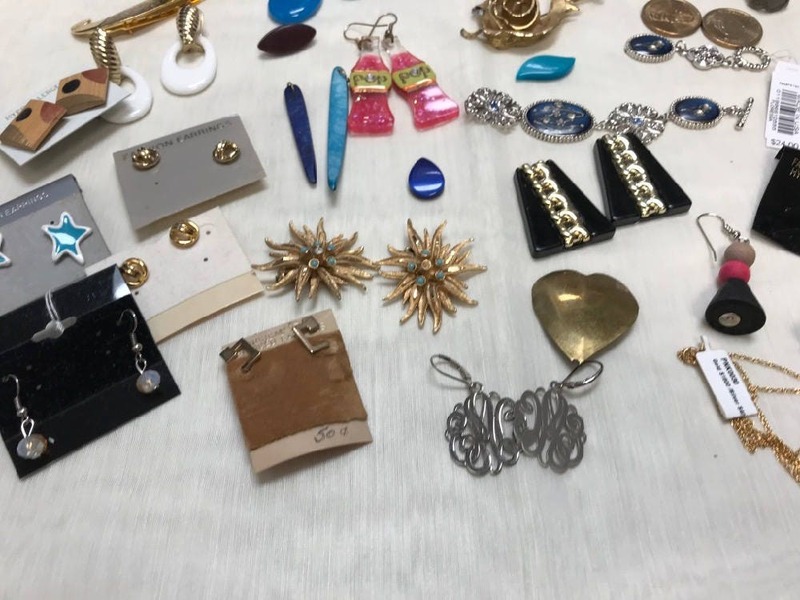 Bag lot of earrings, necklace, pin, bracelet...some broken some not. 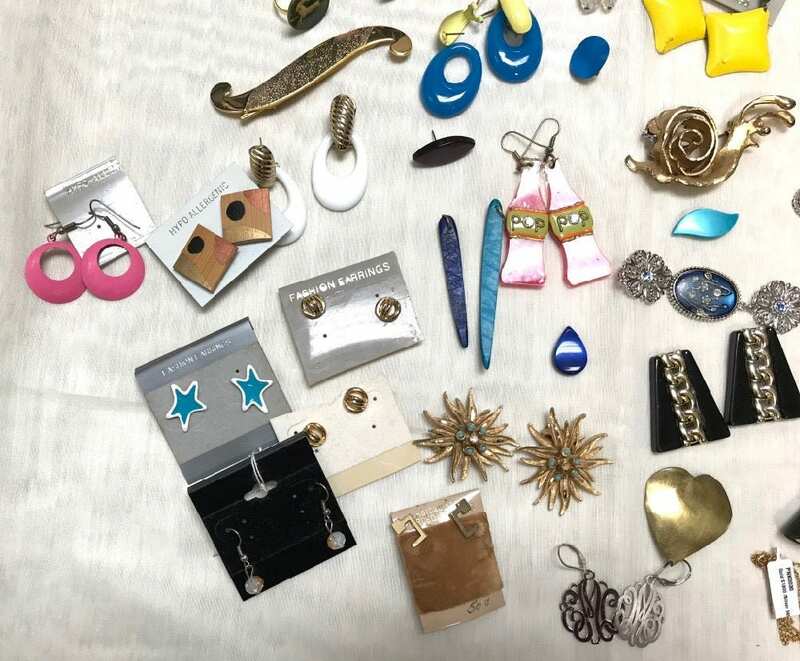 Break a part and make something new...recycle or up cycle into a beautiful new piece of jewelry. 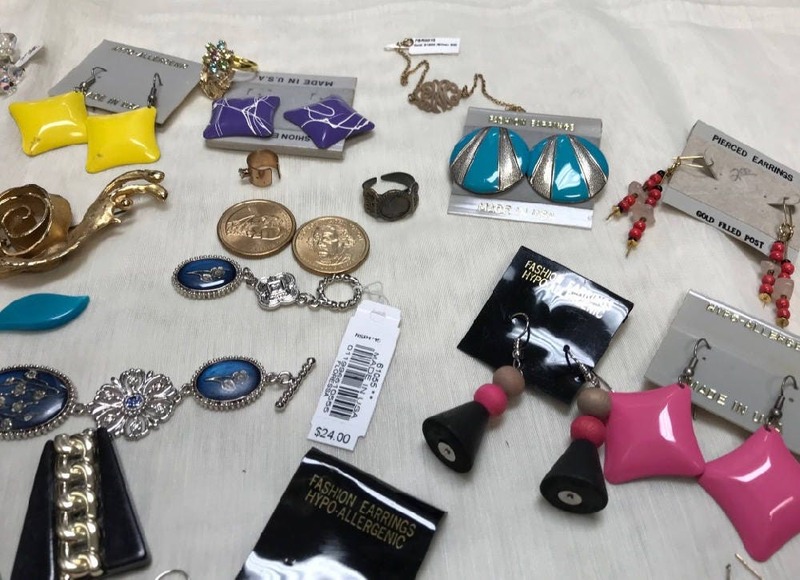 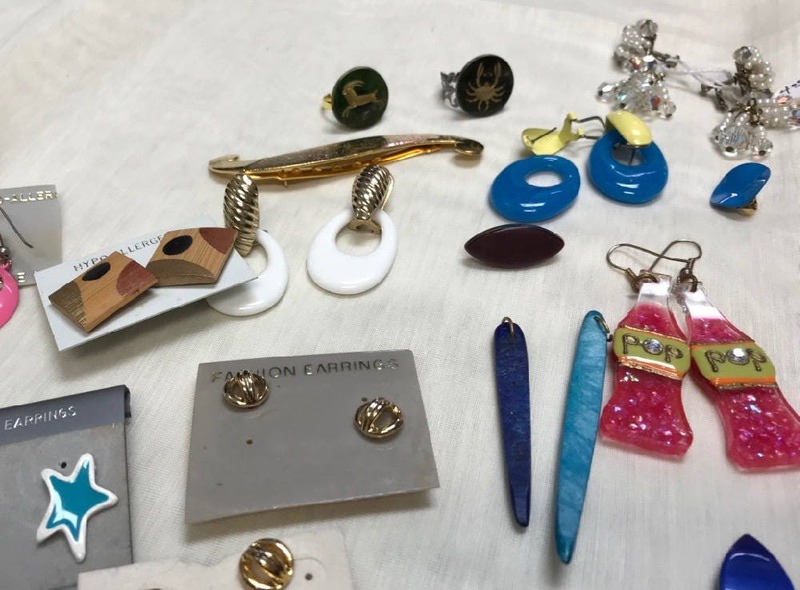 Soda Pop earrings and barrette also are in this mixed bag of goodies.